Metamaterials are substances whose properties are determined not so much by the atoms they consist of, but by the atoms’ structural arrangement. Each structure is hundreds of nanometers, and has its own set of properties that disappear when scientists try to separate the material into its components. That is why such a structure is called a meta-atom (not to be confused with the common atoms of Mendeleev`s Periodic Table). Any substance consisting of meta-atoms is called a meta-material. “An international team of scientists from NUST MISIS, Karlsruhe Institute of Technology (Germany), and IPHT Jena (Germany), led by Professor Alexey Ustinov, head of the NUST MISIS Laboratory of Superconducting Metamaterials, has created the world`s first so-called “twin” qubit, as well as a metamaterial on its basis. Thanks to the outstanding properties of the new material, it will be possible to create one of the key elements in superconducting electronic devices,” said Alevtina Chernikova, Rector of NUST MISIS. 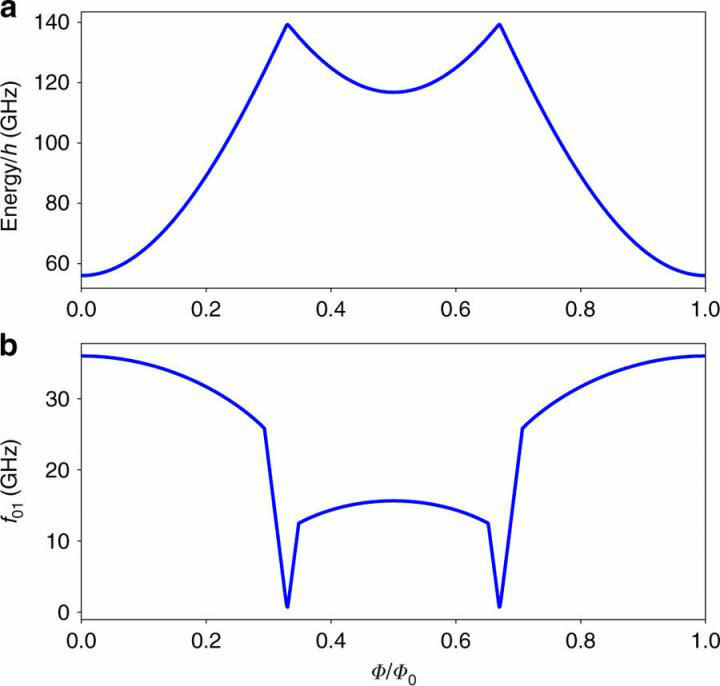 Kirill Shulga, a researcher at the NUST MISIS Laboratory of Superconducting Metamaterials and the first author of the project, noted that a conventional qubit consists of a scheme that includes three Josephson junctions. 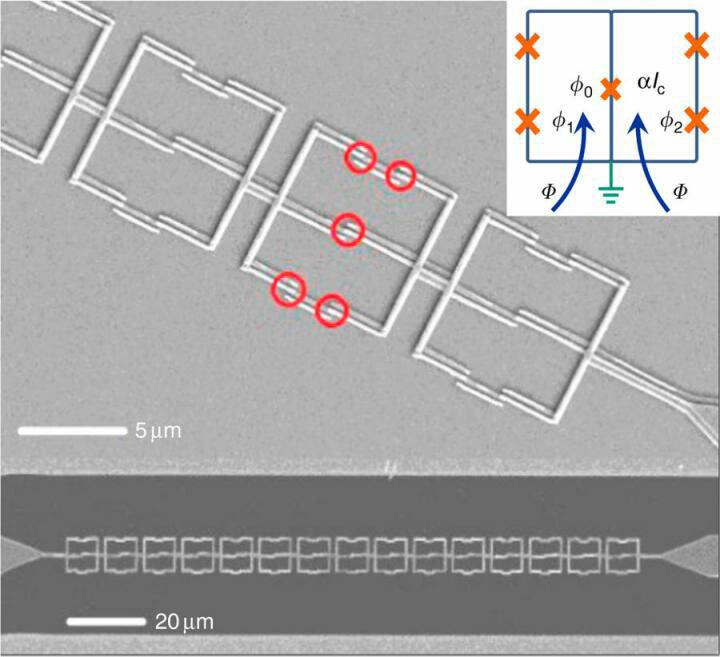 The twin qubit however is composed of five junctions that are symmetric to the Central axis. “Twin qubits were supposed to serve as a more complex system than the conventional superconducting qubits. The logic here is quite simple: a more complex (artificially complex) system, with a large number of degrees of freedom, has a higher number of factors that can influence its properties. When changing some external properties of the environment where our metamaterial is located, we can turn these properties on and off by turning the twin qubit from one state with certain properties to another with other properties,” he added. “In one of the modes, the chain of qubits transmits electronic radiation in the microwave range very well while remaining a quantum element. In another mode, it turns the superconducting phase by 180 degrees and locks the transmission of electromagnetic waves through itself. Yet it still remains a quantum system. So with the help of a magnetic field, such a material can be used as a control element in systems for quantum signals (separate photons) in circuits, from which developing quantum computers consist of,” said Ilya Besedin, an engineer at the NUST MISIS Laboratory of Superconducting Metamaterials and one of the project’s researchers. As the researchers note, they had to sort out lots of theories to correctly describe the processes that occurs in quantum meta-materials. The article “The Magnetically induced transparency of a quantum metamaterial composed of twin flux qubits” is the research’s result, and was published in Nature Communications. Be the first to comment on "Science Breakthrough – Researchers Develop World’s First Quantum Metamaterial"